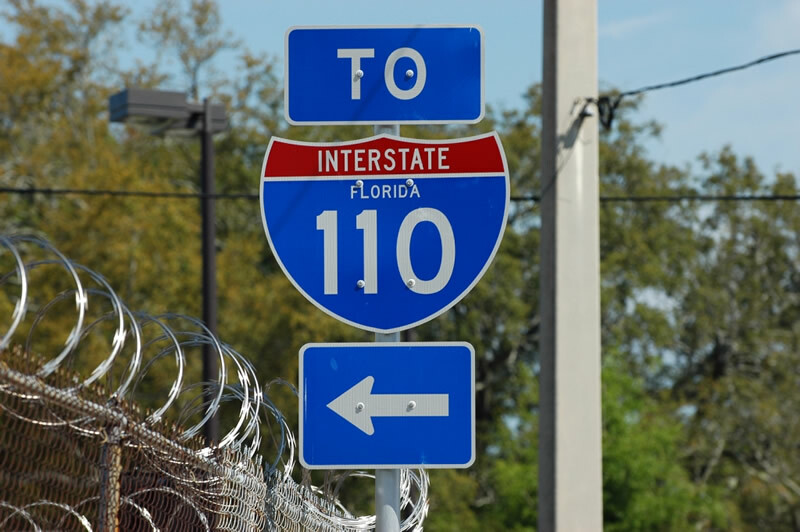 Davis Street northbound at U.S. 90 & 98 and an earlier look at the last Interstate 110 Florida shield posted in Pensacola. Photo by Alex Nitzman, 12/8/2002. Florida 291 northbound at U.S. 90-98. 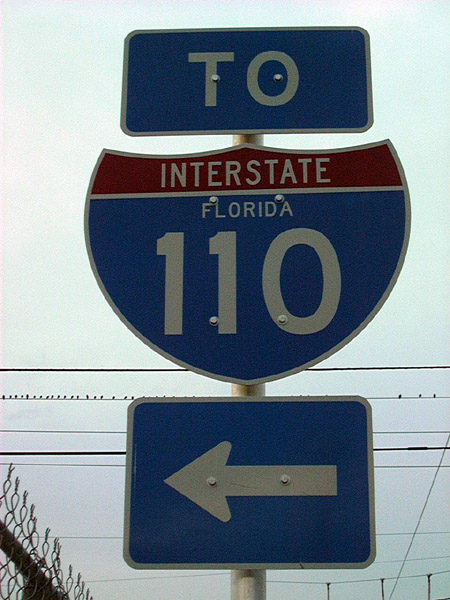 This shield, installed in 2002, was the last I-110 FL shield and was removed by 2008. Photo by Jeff Royston, 4/24/2004.